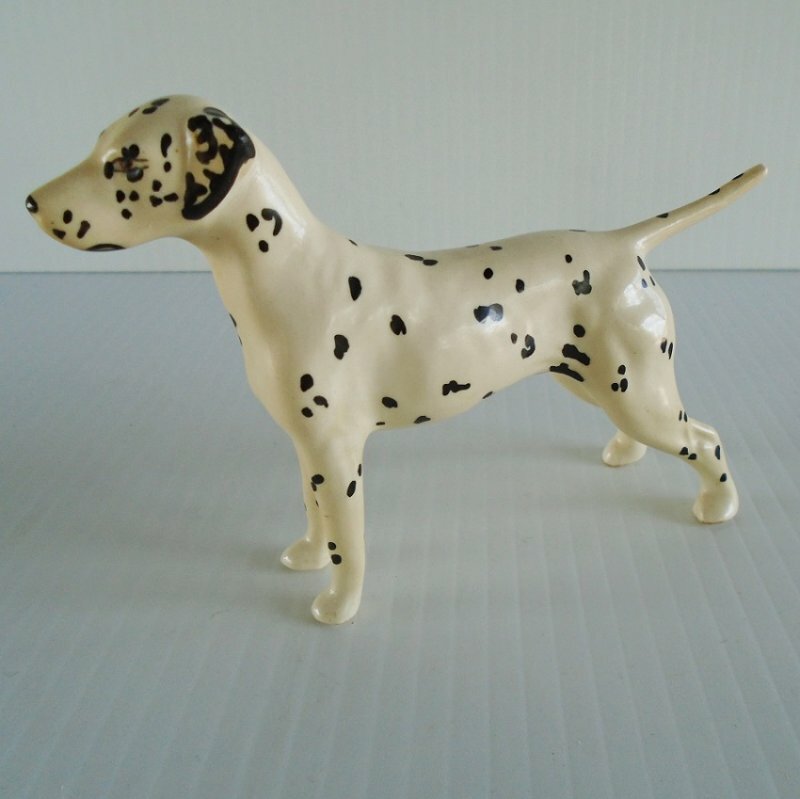 Porcelain Dalmatian dog figurine. Marked Beswick England. Stated to be 1950s. Estate sale find. This porcelain Dalmatian dog figurine measures almost 5 inches from tip of nose to tip of tail and stands 3.5 inches tall. 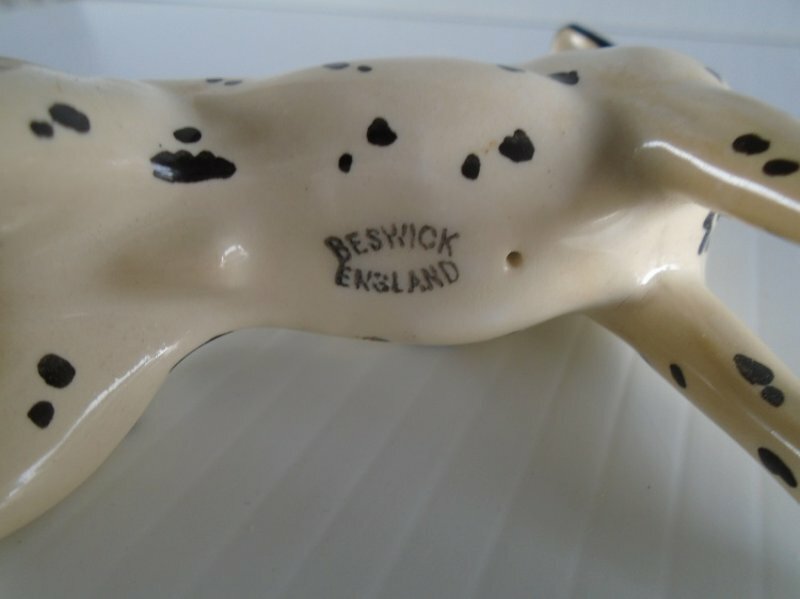 Is is marked on the underside with Beswick England. The lady I obtained it from said it was a gift to her when she was a little girl and that would have been in the 1950s. No chips, cracks, or crazing. Every January the postal service increases shipping charges. This year they went a bit overboard and are now charging based on not only weight, but also on how far a package travels. I am in Arizona and most of my packages travel eastward with the further east it goes, the more the cost. This latest increase has added an additional .46 cents to up to one dollar on packages. I try to absorb some of the new charges but that's getting harder with each increase. I do combine shipping on multiple items purchased as long as all items can fit safely into a single box. However, my web host is not set up to calculate multiple item shipping costs. At checkout, you will be charged full shipping price on each item purchased and I will refund the appropriate amount of overpayment. If you are uncomfortable with that, you can send me an email with your zip code and stating which items you'll be purchasing and I'll calculate the correct combined shipping charges and send you a custom invoice. International shipping charges also took a tremendous leap. International shipping will now depend on the country. Buyer must contact seller for international shipping charges before making a purchase. Seller reserves the right to void any international transactions where contact has not been made prior to purchasing.